The company has been running for many decades, producing many high quality hats with the top-notch materials and excellent craftsmanship. If you want to buy a Stetson hat to add to your hat collection, you will be overwhelmed with so many choices that you could have. Let’s me help you by reviewing some of the best Stetson hats for men currently on sales on the market. Check them out to see which one is the best for you. 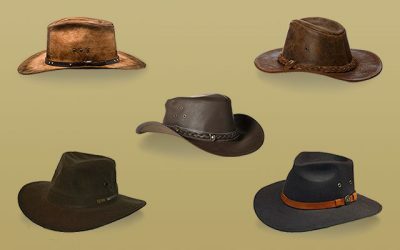 Here is the collection of the best Stetson hats for men in 2018. 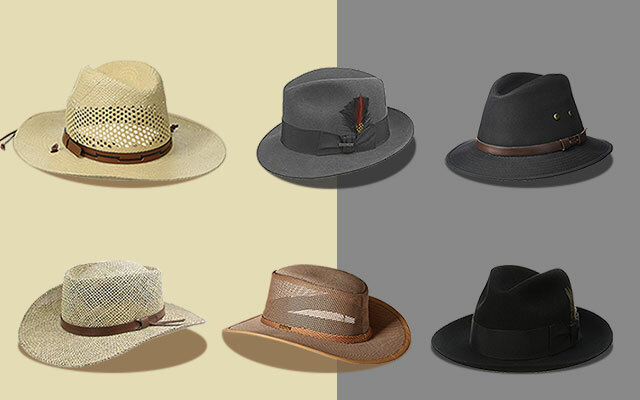 Its Main Features: This kind of Stetson hats for men is made of 100 % of nylon with a mesh crown. There are 7 options of colors for you to choose form including black, clay, and beaver. 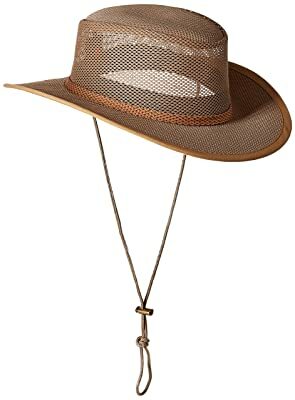 It features the design of Safari hat with a nylon/poly band and Stetson badge detail. The thing that I love the most about this Stetson hat is that it is super cool and comfortable to wear, even in a hot summer day. Thanks to the breathable material and the coolmax sweatband, the temperature inside the hat is kept at the best level for you. 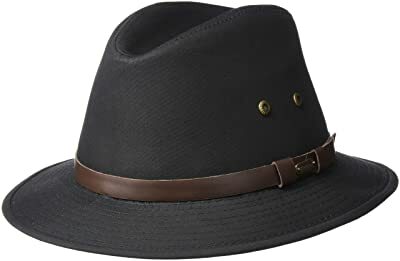 Another thing that I like about this hat is that it has the Western-styled brim, which I can easily reshape according to the style that you want. All of the details are made nicely with no room for loose threads. 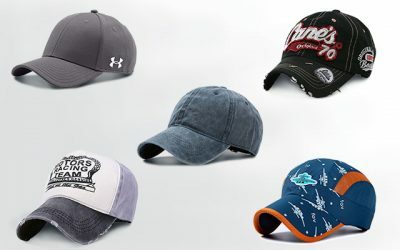 You should expect a soft and smooth yet durable hat that you can last for a long time. Keep in mind that while the mesh area provides you with a lot of air ventilation, it is not as protective as other types of hat in term of protecting you from the harsh sun rays. So if you are about to stay out a lot, you should consider other types of Stetson hats below, which offer you more coverage and protection against the harsh sun rays. 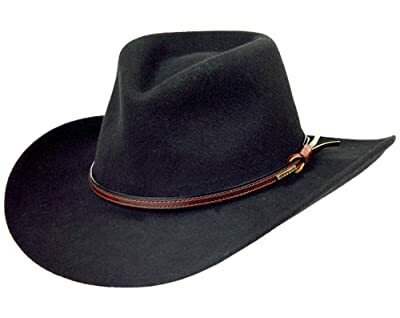 Its Main Features: This Stetson hat is made of 100 % of wool felt with a 2- inch snap brim and satin lining. There is a grosgrain ribbon band and a stylish feather in the band. This hat is available in Caribou grey featuring the design of a classic and traditional fedora hat. This stetson fedora hat is one of the most classic fedora hats that of Stetson in specific and of the market, in general. Thanks to its high quality and formal material, you can wear this Stetson hat to a wide range of events, from formal occasions such as weddings and funerals. You can also wear it with your formal suit when you go to a business meeting as well. 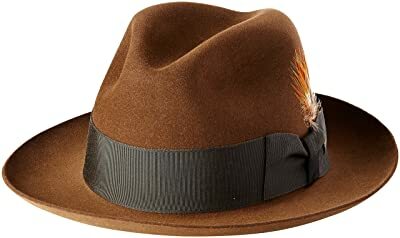 And although this fedora hat has the traditional design, it doesn’t look boring at all thanks to the unique and stylish ribbon band and feather. Other aspects of the hat, including the materials and the construction are made to the perfection for a classy and worthy hat. Although I love this hat a lot and want to wear it to a wide range of occasions, this hat is a little bit loose on my head. It is slightly larger than most of the fedora hats that you can find on the market. 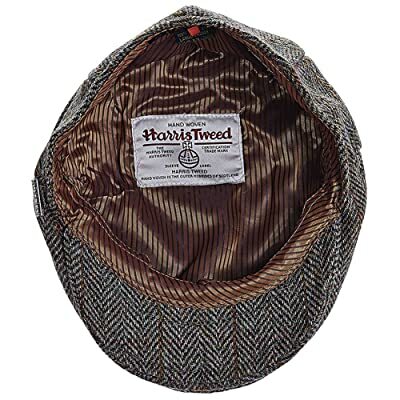 Its Main Features: This hat is made of 100 % of wool felt with leather chestnut hatband. The pinch front crown is 4 inches in depth and the brim is 3.25 inches in width. The thing I love the most about this hat is that while for some other stetson cowboy hats, you need to take a good care of them- putting them in special boxes, for them to keep in shape, this hat is totally different. In fact, it is crushable so that you can easily put it in anywhere. It is also one of the most versatile felt hats of Stetson. You can pack it and put it in your bag when you go travelling. It will then pop back to its original shape. It is also water resistant so you can still wear this hat when it rains lightly outside. Another thing which I love about this hat is that it is breathable. So although it is made from wool felt, it is not irritating or becoming too hot when you have to wear it all day at all. There is also an inner layer of satin to make it even more comfortable to wear. Last but not least, thanks to its classic design, solid black color, and the elegant hatband, you can wear this hat to many formal events such as weddings and business meetings without looking boring. Its Main Features: This Stetson hat is made of 100 % of fur felt including the sheepskin sweatband and the satin lining. There are 8 options of colors for you to choose from including black, mink, and caribou. It comes with a 4 1/2 inch center creased pinch front crown and a 3 inch brim. 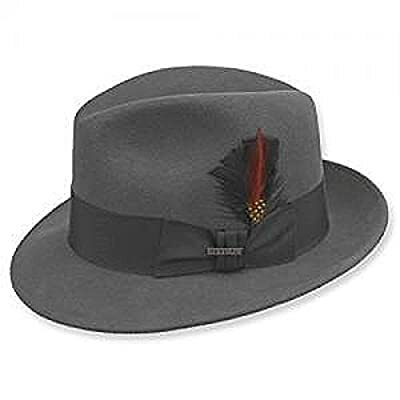 This style also features a grosgrain ribbon band with feather trim and a Stetson branded pin. Like other high-quality Stetson hats that you can find on the market, this hat is made of high quality premium materials, too. The fur felt material is so soft and smooth on the touch. It is also breathable, water resistant and long lasting. In addition, there is a satin Stetson lining to make it more comfortable for you to wear the hat for a long time. Not to mention the sheepskin sweatband that is soft and stretchy. It is also capable of wicking moisture away as well as preventing odor from developing as well. This hat is well made with extra attention to details. All of the details including the feather trim and branded pin are made with excellent craftsmanship and tough stitching lines with no loose threads for extra durability. After a few times of use, I notice the brim of this hat to be slightly curved upwards. Though, it is just a minor problem as I can easily iron out the brim to make it flat again. Its Main Features: This hat is made of 75% of cotton and 25 % of polyester. It also comes with a faux leather band and a brim of 2.25 inches in width. There are 2 options of colors for you to choose from including black and khaki. There are several ventilation eyelets on sides of the hat to keep the air flow and make it more comfortable for you when you have to wear it on a hot day. In addition, the blended material makes the hat also cooler and more breathable than normal hats. And I have nothing to worry about the durability of this hat. Besides the high quality materials, this hat is carefully made with evenly double stitching lines for extra durability. It is water resistant and crushable. These features will surely make it more convenient for you to bring this hat with you when you go travelling. If you like a hat of the classic safari hat style, you should consider this hat from Stetson. It goes well with a lot of your clothes including your formal suit or your smart wear clothes. Its Main Features: This hat is made of 100 % of genuine leather. You can choose among 4 options of colors including black, mocha, rust, and distressed leather. The crown of the hat is 4 inch deep. The leather of this hat is one of the softest and smoothest leathers that I have ever experienced. It is soft and supple but the construction is so well-made that the hat is very sturdy and long lasting. In addition, thanks to the soft material, you can easily reshape the brim of the hat to the style that you want to. Besides the soft and durable material, this hat is also very lightweight. In fact, it is one of the lightest leather western hats, making it easier and more comfortable for you to wear it for a long time. 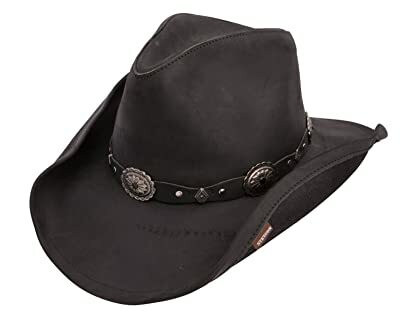 If you want a kind of stetson hats for men which are made from leather to form an authentic Western cowboy style, this hat is definitely a great choice for you. Thanks to the distressing process the leather goes through for each hat, the hat does look very vintage and unique. Not to mention that it will age and look even better over time. Its Main Features: This Stetson hat is made of 100 % of seagrass brim. The crown is adorned with a genuine leather band. This hat belongs to the group of the stetson straw hats with its classic straw hat design. The width of the brim is 3.25 inches featuring the UPF 50+ fabric protection on underside. 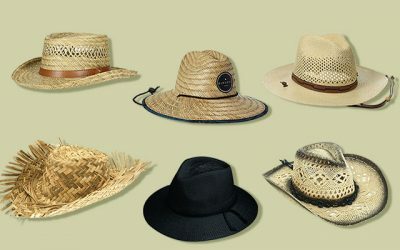 The material of this hat is made of the most premium seagrass straw to be very lightweight and breathable. In addition, it is constructed so that it can last for many heavy-duty activities. In addition, the brim is wide enough for you so that your neck and your face are all protected. Not to mention that there is the special added protection of a durable, sun blocking fabric under the front of the brim and top of the crown providing UPF 50+ Protection. And thanks to the inner sweatband which is very soft and stretchy, you will feel comfortable wearing this hat all day long. Keep in mind that this hat is not foldable or packable. In addition, you would find out the shape of the brim is fixed. For anyone who likes to reshape the brim of their hats to change the style of the hats accordingly, you might find this one is a little bit of a problem. However, in exchange, you have a brim which is firm and will not be bent easily. It will also not become floppy in case of a big wind. You can wear this hat to a wide range of occasions, such as when you go golfing or boating. It is also a great choice of hat to bring when you to go the beach. 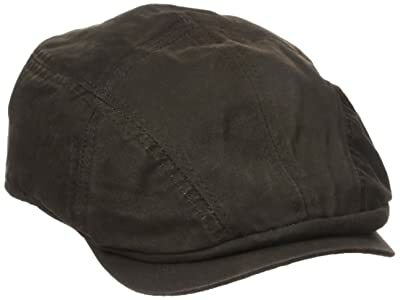 Its Main Features: This ivy cap is made of 60 % of polyester and 40 % of cotton. It features the design of an ivy cap with a high profile for the crown. It is available in brown color with the polished weather cotton finish. This hat is a great choice for you to wear when it is not really cold, especially in the late autumn and early winter days. The materials of this hat are of high-quality which contributes to the softness and comfortableness of this hat. Besides the materials which are soft and breathable, it comes with a self sweatband to help you more with ventilating air and keeping your head cool all of the time. All of the features on the hat, including the polishes weather cotton finish and the stitching lines are nicely done so that this hat is very firm, solid, and durable. One main thing that I notice about this hat is that the color of the hat is so fade resistant that it stays in the same color regardless of how long I have used it. The main issue with this hat is that it is not warm enough for you to wear in the winter. Its Main Features: This Stetson hat is made of 100 % of wool featuring the ivy cap design with a traditional ivy brim. There are 3 options of colors for you to choose from, which are brown, grey, and olive. The first thing that I like about this hat is the refined brass Stetson logo on the hat which is done nicely. Quite a small detail but does say a lot about the excellent craftsmanship of this hat. In addition, there are subtle ventilation grommets on the bill. They are not so big that they can destroy the look of the hat but are still enough to ensure you feel comfortable when wearing this hat. The material of this Stetson ivy cap is undoubtedly, the top-notch and most premium quality. The wool is soft, warm and thick enough for a solid construction. 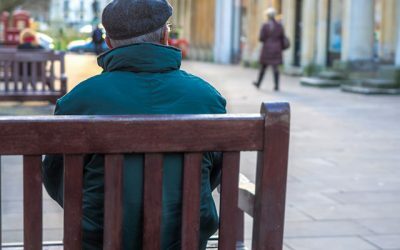 Furthermore, the brim of the hat is made with a comfortably layer of interior to prevent yourself from being irritated if you have to wear this hat for a long time. Overall, this ivy cap is a perfect choice for you to complement your sophisticated flair in the winter. All of the parts of this ivy cap are well made and nicely sewn together to ensure that it can last for as many seasons as it can. With its traditional design and color, no other hat is the vintage stetson hats as this one. If you want a hat to wear in a hot summer day then this hat is for you. It is made with a wide brim to provide shade for your face as well as your ears and your neck. In addition, the crown of the hat has the UV protective shields to protect your skin effectively from the harsh sunrays. And don’t forget the mesh area around the crown, which is capable of ventilating air to keep your head as cool as possible. Last but not least, the chin trap is highly adjustable and is an effective tool to keep the hat on your head regardless of the weather. 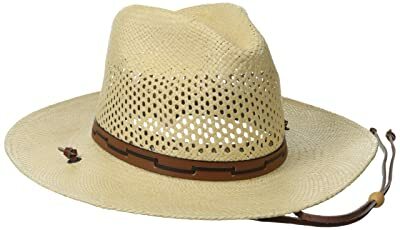 The only thing that I don’t like about this Panama straw hat is that you always need to wash this hat by hand. 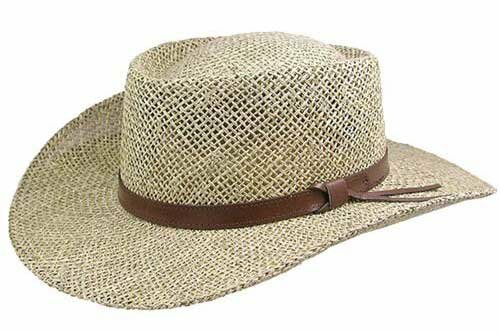 However, this is common for the high-quality straw hat as washing with the washing machine can deteriorate the shape of the hat. Here is the collection of some of the best Stetson hats that you can find on the market in 2018. As you can see, there are so many different styles and colors for you to choose from. No matter what your styles and your requirements are, you will surely find the suitable Stetson hat that you can enjoy wearing for many years to come. The stetson Andover is one of my favorite hats. The quality in the material to physically holding the hat in your hands and then applying it to your head is a great feeling. This hat does come in a variety of colors but the pattern is the same.